Gabriel was a skilled artisan with several advantages over most field-working slaves of his day. 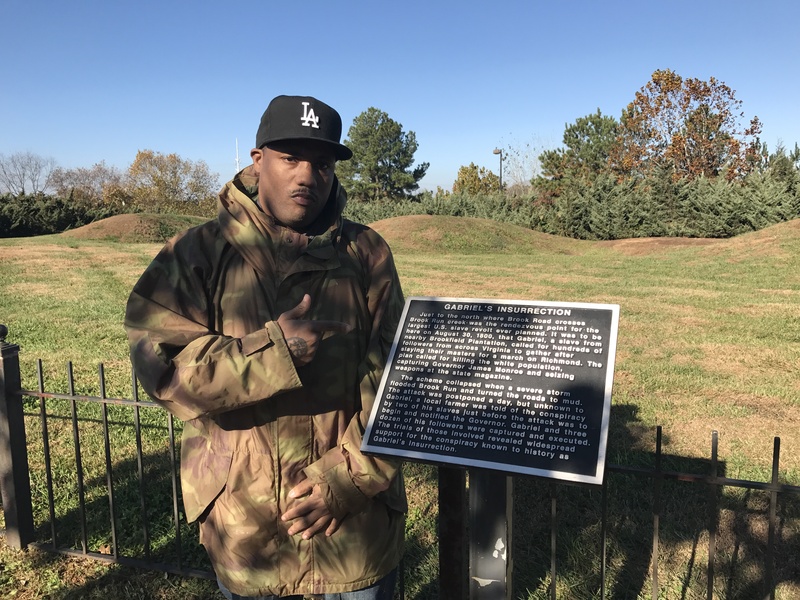 Partly due to his skill as a blacksmith, Gabriel was “hired out” to work in many different places and enjoyed more autonomy and mobility than most plantation slaves. As an artisan, Gabriel was among the broad group of urban workers whose actions played a crucial role causing the American Revolution. As an occupational group, they were among the Revolution’s biggest winners. 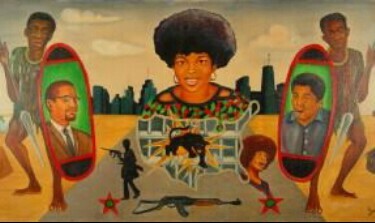 However, as an African American and a slave the benefits of the Revolution were not extended to Gabriel. 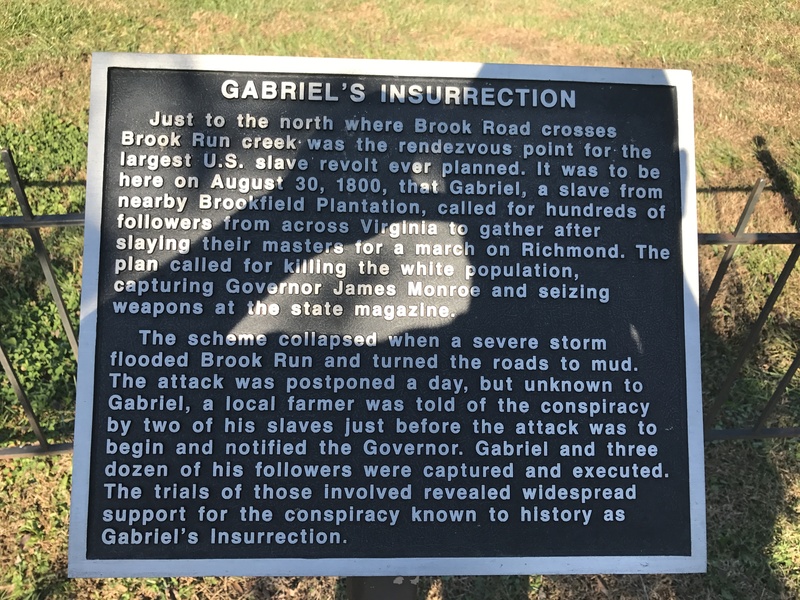 Nevertheless, the republican ideology of the Revolution and the anti-elitist thrust of the Democratic-Republicans helped shape Gabriel’s vision in leading a SLAVE REVOLT. Toussaint L’Ouverture followed in the footsteps of the French in abolishing slavery when he became leader of the Haitian Revolution in 1792. Gabriel expected “the poor white people” as well as “the most redoubtable republicans” to join his cause to create a more democratic republic in Virginia . He especially identified Quakers, Methodists, and Frenchmen as those whites who were most “friendly to liberty.” The purpose of the rebels was clearly expressed in a banner under which they planned to march, which eloquently stated “DEATH OR LIBERTY.” The assault planned for August 30, 1800, however, never came together. Torrential rain caused confusion and a traitor from within the group warned white authorities of the impending attack. Gabriel’s careful planning demonstrates that some enslaved people actively resisted slavery and were well informed about the world beyond their own harsh circumstances. Given the heightened political violence of the 1790s, Gabriel believed that he could forge an alliance with some Democratic-Republicans against a common Federalist enemy. The timing of the revolt, just before the 1800 election, makes it a radical expression of anti-Federalism. Gabriel also secretly met with two Frenchmen who seemed to have promised him international assistance. Gabriel was well aware that the French Revolution had helped trigger the great slave revolt in Haiti in 1791. Perhaps the charismatic and talented Gabriel could have become a successful black political leader like TOUSSAINT L’OUVERTURE. Instead, Gabriel’s slave conspiracy ended in severe repression. 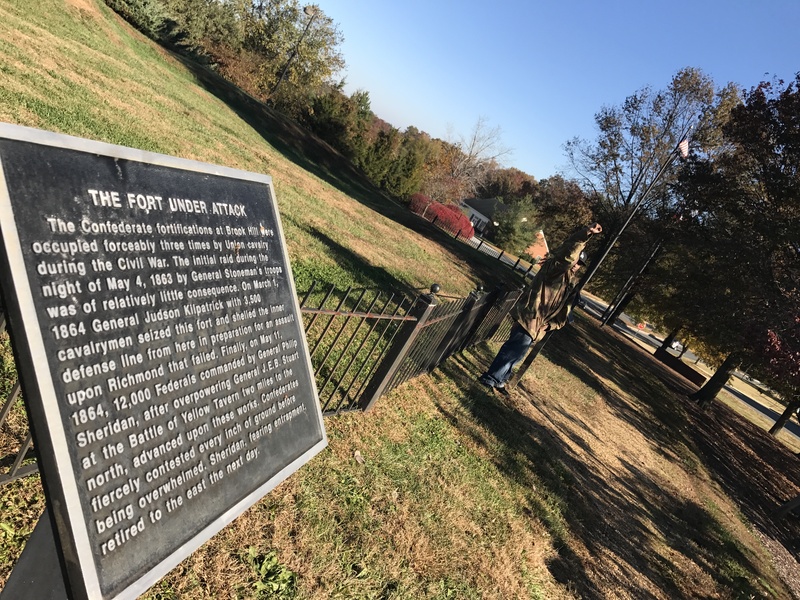 While no whites were killed in the revolt that never really got started, the state of Virginia executed 27 blacks, including Gabriel, by public hanging. Whites responded to the planned revolt, and another one linked to it in 1802, by tightening legal restrictions on slaves. For a brief period in the late 18th century white Virginians had modified certain elements of slavery.